The jazz pot thickens as we get into Jazz Appreciation Month. There's a lot of action this weekend and into the coming week, enough heat to melt whatever final flakes are heading our way, enough variety to give everyone something to look forward to, from the always-welcome return of one of the oldest jazz ensembles working on the local scene to the maiden voyage of a new multi-media ensemble to the first major public appearance of an ensemble of future stars; a veteran vocalist pays homage to one of the heroines of vocal jazz while another introduces a new band and some new works; a veteran trombone master gathers some pals for a Friday night jam; and a favorite import returns to perform with his Minnesota band. That's only a fraction of the jazz calendar for the week. Friday, April 8. Friday Night Jazz at Reverie, curated by Steve Kenny, continues its month "in exile," a few weeks before returning to Reverie as Thursday Night Jazz. Tonight Kenny presents a double-header at Studio Z, kicking off with the monthly JazzINK Youth Showcase featuring the 2016 edition of the Dakota Combo. 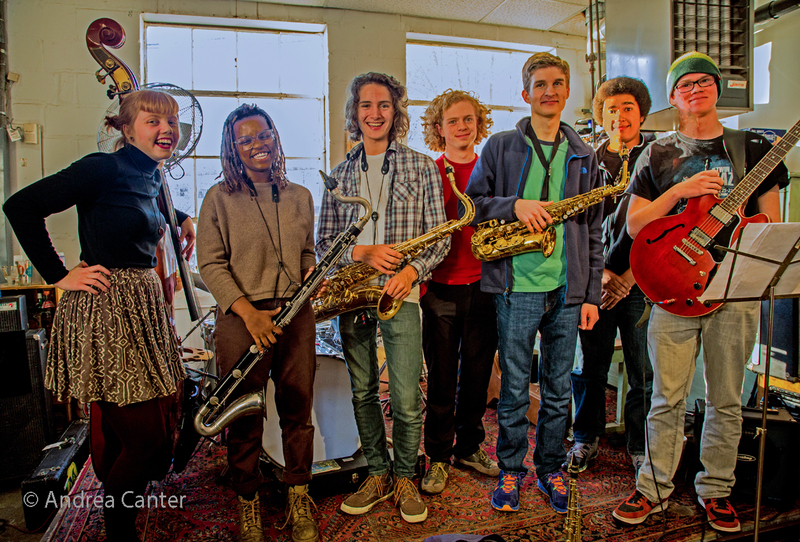 Directed by Adam Linz, the MacPhail Center of Music-based septet offers a riveting set of originals and savvy covers that belies the youth of these artists, all juniors and seniors in area high schools. At one time or another, all have been heard on area stages in other configurations, but their chemistry as an ensemble is truly special. 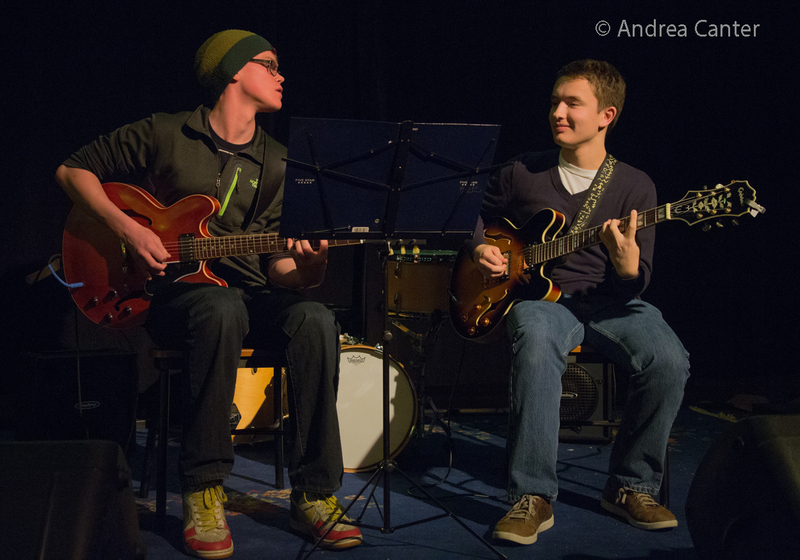 Funding for this program, now in its tenth year, is provided by the Dakota Foundation for Jazz Education. The headline act on Friday Night Jazz is a new project from three multi-talented, multi-media artists dubbed NuSkein Ensemble. Combining spoken word, visual images, and song, NuSkein features Katherine (Kate) Pehrson (violin, vocals), Davu Seru (percussion), and J. Otis Powell‽ (spoken word) who "have come together to create work around the transformations and identity shifts that occur throughout life and which help to produce "new skins" and enlightened consciousnesses. Also embedded in their collaboration is a tradition of creating original works of art from influences and cultural DNA that regards spiritual channeling and improvisation as essential to artistic process." 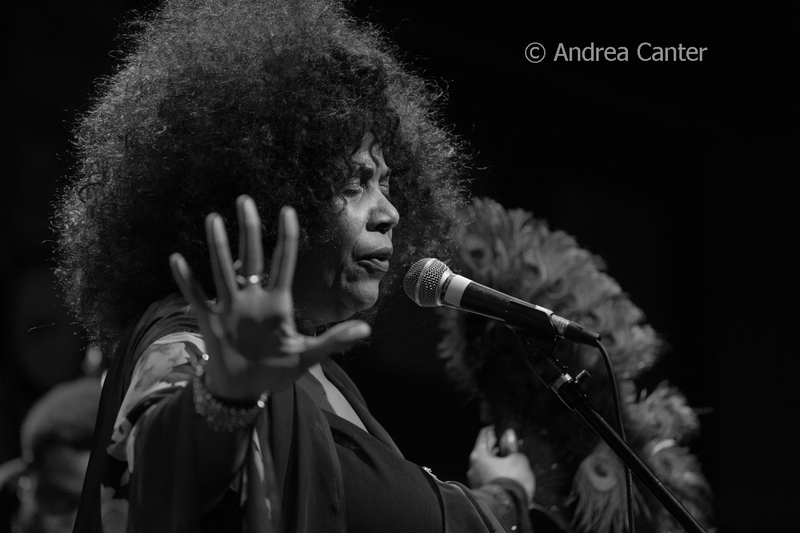 Just down the block at The Bedlam, vocalist/educator Pippi Ardennia brings together a new band (VIP Sound Collective) and some new compositions co-written with keyboardist/arranger Jo Schad, celebrating new directions for her PipJazz Foundation. 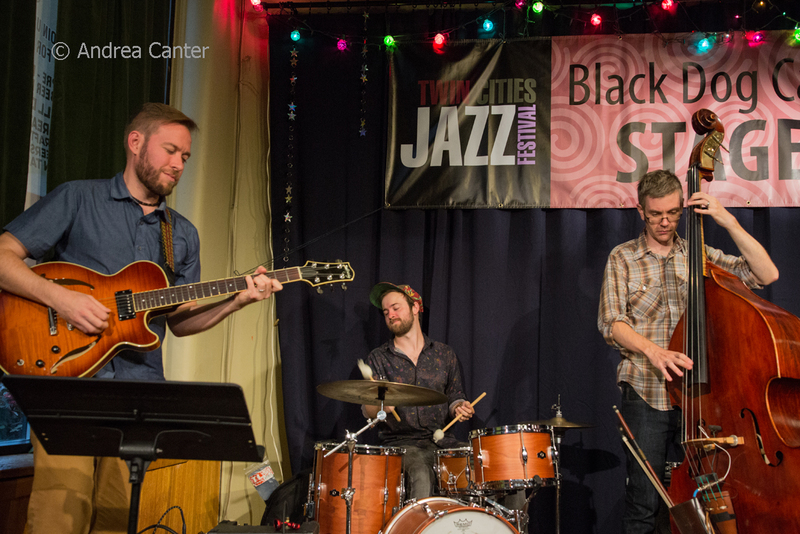 The band includes some of the most sought-after young musicians on the local scene, including Joe Strachan, Ted Olsen and Rodney Ruckus, and two transplanted Chicagoans on horns--Ryan Nyther and Jabari Powell. 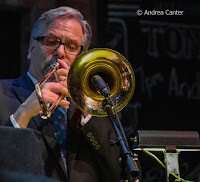 A familiar musician who performs across all permutations of jazz, trombonist Dave Graf takes a rare role as bandleader at Jazz Central, bringing in cohorts Peter Schimke, Ron Evaniuk and Eric Gravatt for one blistering quartet. Stick around for the late show, as renowned bassist, guitarist and educator Joan Griffith leads her McJazz ensemble from Macalester College. 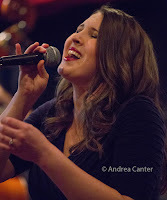 Rising star singer Katia Cardenas takes on Happy Hour at Crooners; Maud Hixson swings with a cool trio of Laura Caviani and Gary Raynor at Parma 8200, while another veteran of vocal jazz, Ginger Commodore, returns with her quartet to the speak-easy ambience of Vieux Carré. 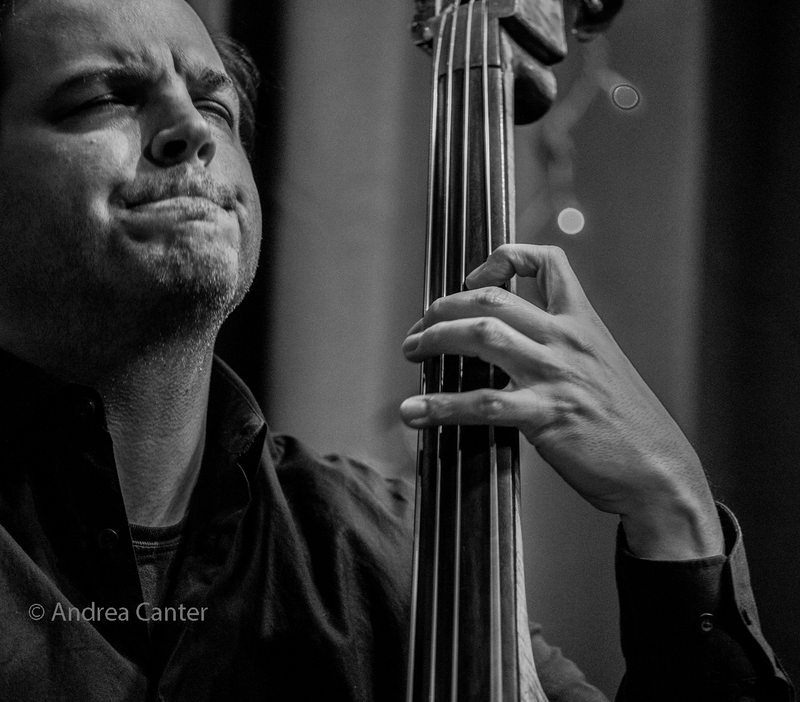 And at Hell's Kitchen, catch the swinging East Side, with Reynold Philipsek, Matt Senjem and Michael Bissonnette. The new Chet Baker biopic, Born to be Blue, opens at the Edina Cinema tonight, and providing some companion music before and after will be pianist Larry McDonough and trumpeter Tim Martin. Larry's been reinventing Chet at metro venues over the past year. Friday-Sunday, April 8-10. Following their successful salute to Bacharach & David last year, vocalists Arne Fogel and Jennifer Eckes return to Bloomington (in the Black Box Theater) with "Days of Wine and Roses," music of the golden age of pop--the 1960s, with the music of Frank Sinatra, Dean Martin, Barbra Streisand and more. Friday and Saturday evenings plus a Sunday matinee. Saturday, April 9. 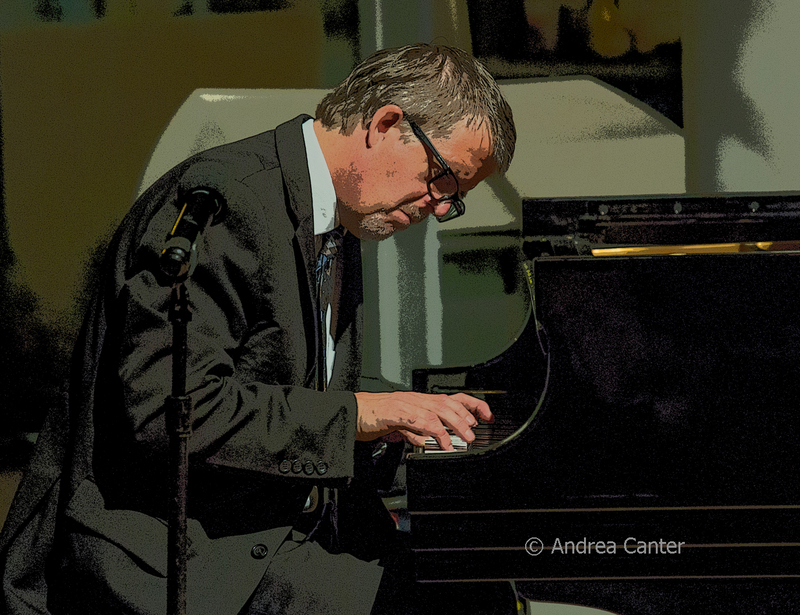 Jazz at Studio Z continues through June, and tonight curator Zacc Harris brings his own American Reverie trio to the stage. With cohorts Matt Peterson on bass and Lars-Erik Larson on drums, Zacc began exploring and re-imagining folk and Americana repertoire, now expanding into the works of Bob Dylan, Tom Waits, Wilco, and more. The band presents a free master class an hour before the 7 pm concert, focusing on the technical aspects of their music. Saturday Night Jazz at the Black Dog again brings together the music of future stars with the music of an iconic veteran ensemble. The evening starts off with the Will Schmid-Adam Astrup Quartet, a band of precocious high school musicians led by the guitar duo that won over the audience at the 2016 Winter Jazz Fest. 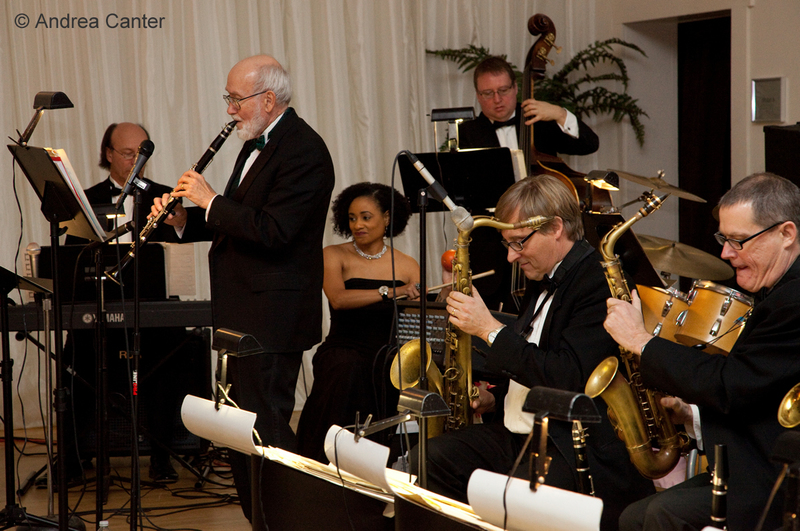 Prime time brings back one of the oldest working ensembles on the local jazz scene, the Illicit Sextet. Founded in the late 80s, taking a 15-year hiatus from the mid 90s til reuniting in 2009, the Illicit Sextet features stellar performers (Steve Kenny, Paul Harper, Chris Lomheim, David Roos, Tom Pieper, Nathan Norman) who are also significant composers. Playing all original music, the band is warming up to record their third album, Chapter Thirteen (the natural follow-up to Chapter One and Chapter Eleven). 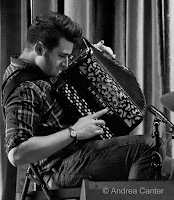 The Benny Weinbeck Trio is in their usual Saturday night spot in the lounge at Parma 8200, and diners can enjoy some solo accordion from Patrick Harison at the Icehouse. 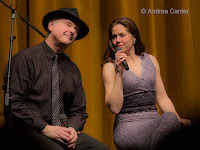 And still swinging after all these years -- JoAnn Funk and Jeff Brueske continue their eight-year tradition, performing in the Lobby Bar of the Saint Paul Hotel, now every Saturday through May when they take their usual summer break. Sunday, April 10. A late Sunday afternoon seems well suited for jazz, and particularly for a band dubbed "Best jazz act for people bored with jazz." 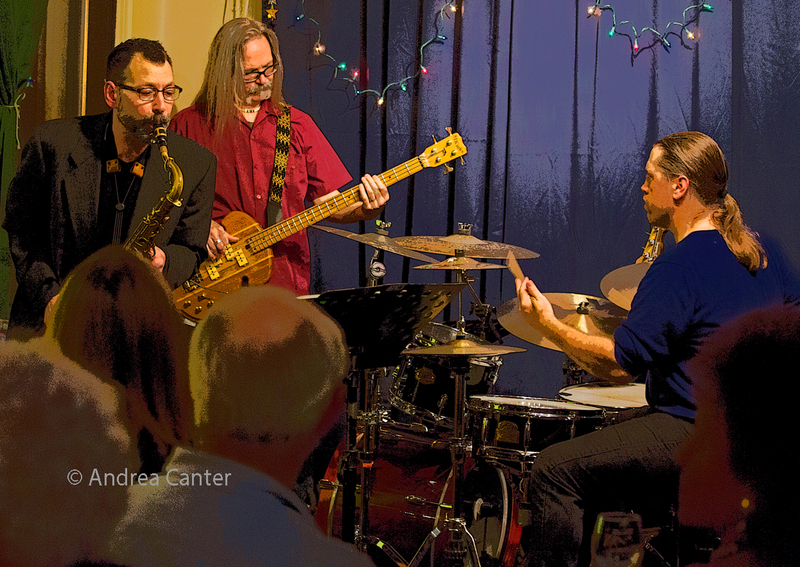 That's Fuzzy Math, led by pianist Mark Vandermyde with Andrew Schwandt on sax, Matt Peterson on bass and Haralds Bondaris on drums, groovin' at the Black Dog. Too few people in the Twin Cities know about vocalist Joyce Lyons. 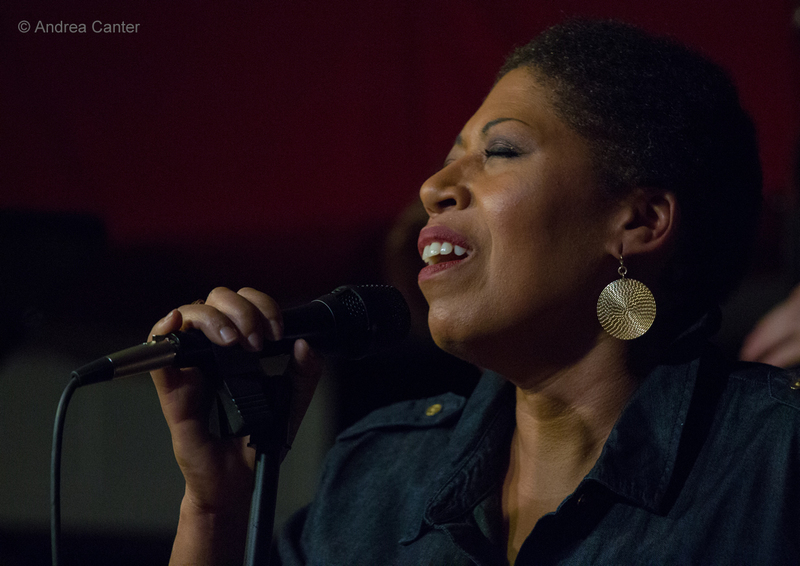 A Maryland native, Joyce has only been in the metro about five years, but her career arc encompasses New York, Arizona, Italy and even the U.S. Supreme Court, and her admiration for the great Carmen McRae will be on full display with her quartet as she makes her debut in the Dunsmore Room. 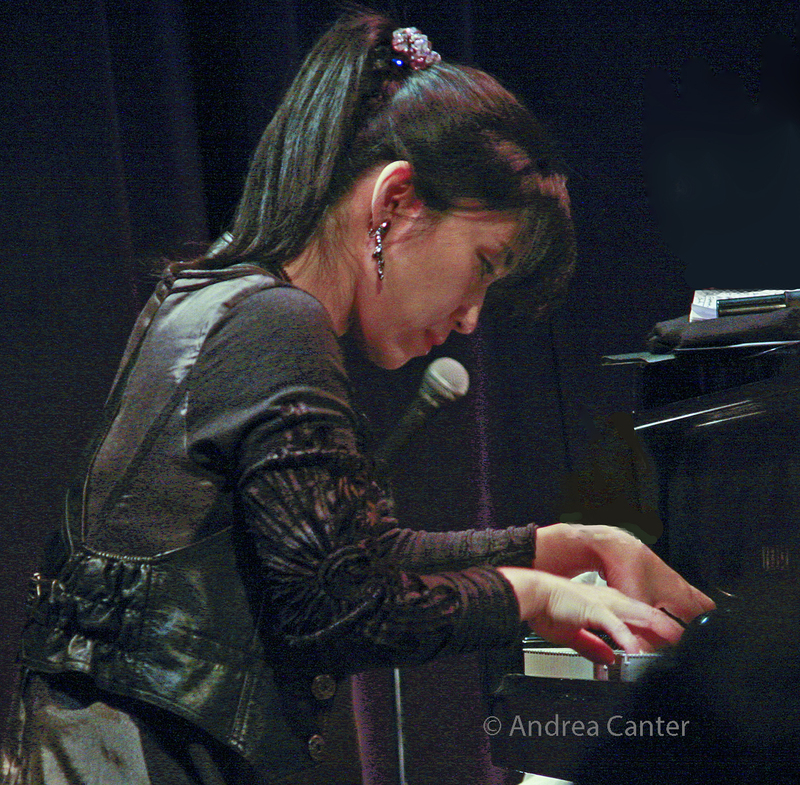 She performs regularly with some of the area's best--Phil Aaron, Graydon Peterson and Jay Epstein, and Aaron has already tested out the Bösendorfer and undoubtedly is chomping at the bit to greet the piano again. Briefly, bandleader Jerry O'Hagan is coming out of retirement to lead his old orchestra at Cinema Ballroom with Charmin Michelle on vocals and an open dance floor. And it's the second night of the annual Keys Please at Studio Z, with pianist-composers Carei Thomas, Todd Harper and Paul Cantrell providing music of diverse genres for an evening of sonic surprise, wonder and beauty. This year's special guest is multi-percussionist Heather Barringer, best known as a member of Zeitgeist and the Crash ensembles. Sunday-Monday, April 10-11. 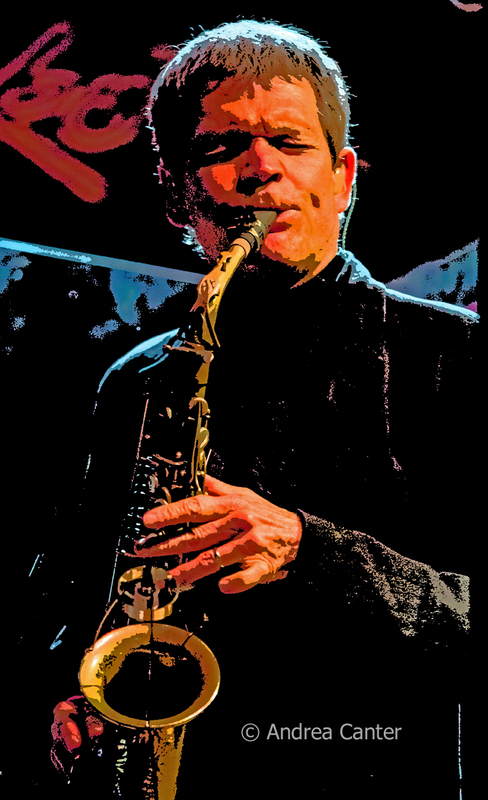 David Sanborn was described by critic Scott Yanow as the "most influential saxophonist of pop, R&B, and crossover players of the past 20 years." 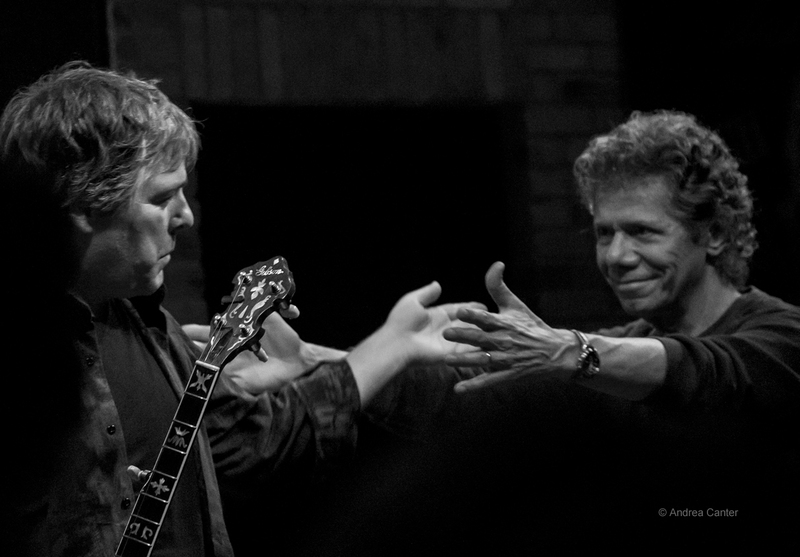 He returns to the Dakota for two nights with his electric band. Monday, April 11. 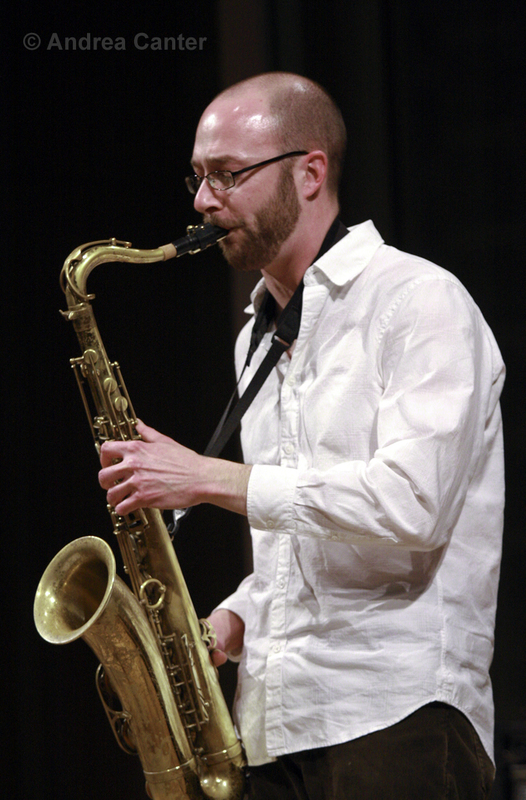 Relative newcomer to the local scene, saxophonist Brian Handleman takes the spotlight at Jazz Central. Actually he's a native who grew up playing in school ensembles, earned his undergrad creds at UW-Eau Claire, and a master's at the University of North Texas. This will be his second gig at Jazz Central. JT's Jazz Implosion features a double-header for the night owls: First set, the inventive duo DVrG Redefined with percussionist Davu Seru and guitarist JG Everest. Second set brings in the Park Evans Quintet, with Brandon Wozniak, Zack Lozier, Cody McKinney and Greg Schutte. Tuesday, April 12. 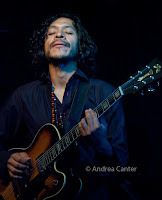 Back in the last decade, a popular performer at the Artists Quarter and beyond was Peruvian guitarist Andres Prado. 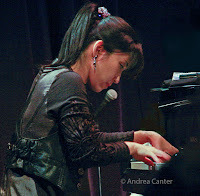 Teaching at McNally Smith, Prado formed a steady band with Pete Whitman, Jeffrey Bailey, and Kevin Washington which later spawned Mississippi with the addition of pianist Peter Schimke. Prado returned to Lima, but makes it back to the U.S. on occasion, like this week when Prado and Mississippi bring their Coltrane-influenced original music into the Dunsmore Room at Crooners Lounge. 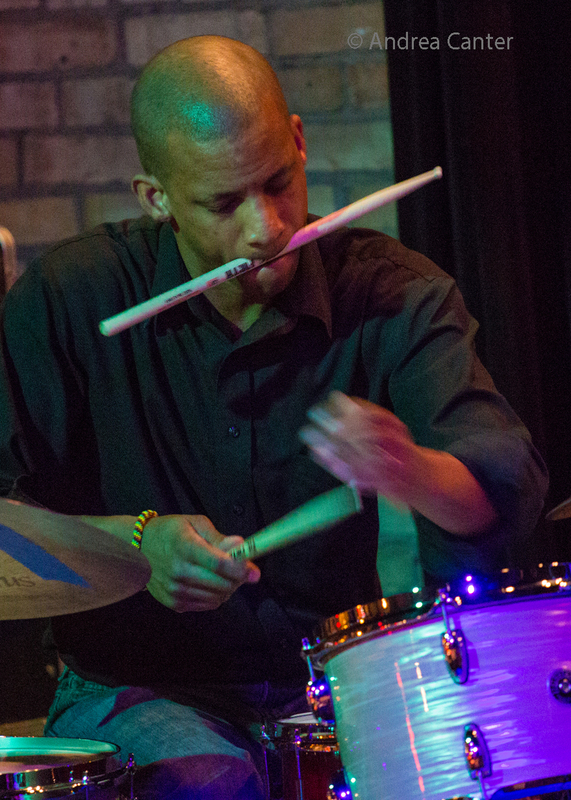 Prado's last visit was the 2014 Twin Cities Jazz Festival. Now hear them indoors, with Schimke on the Bosendorfer. 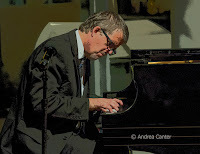 More piano magic: Vieux Carré presents Chris Lomheim on solo piano to open the night, followed by the genius x two pairing of stride pianist Butch Thompson and eclectic guitarist Dean Magraw. At the Black Dog, second Tuesday means the Chris Olson Project, while at Jazz Central it means the Cedar Avenue Big Band. More big band-- Nova Jazz Orchestra holds their monthly gig at the Minnesota Music Cafe. Wednesday, April 13. 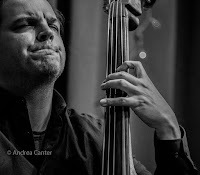 It's Double Bass time as Chris Bates teams up with electric bassist Al Vorse for his monthly improv music night at Jazz Central. And it's not duets -- it's solo times two. Mary Louise Knutson is also in solo mode, early sets at Vieux Carré. 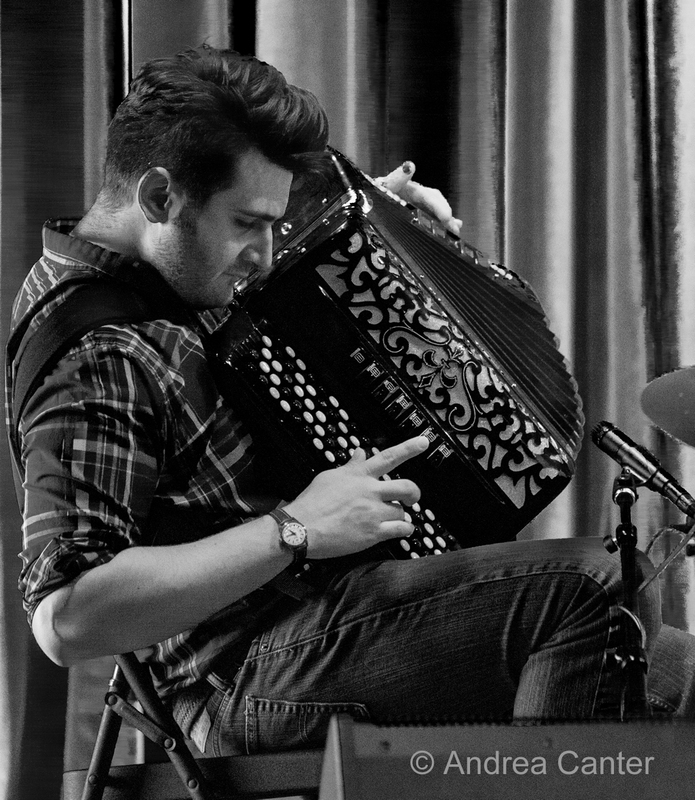 For some gypsy swing, check out the Parisota Hot Club at Schooner Tavern. Thursday, April 14. Contemporary jazz keyboard star Keiko Matsui returns to the Dakota for a dazzling night, while at Jazz Central, Sarah M. Greer puts her vocals on stage with acclaimed bassist Anthony Cox and whirlwind guitar ace Dean Magraw for a night of "standards, originals and inventions as she explore her voice as instrument," and celebrates her birthday, too. 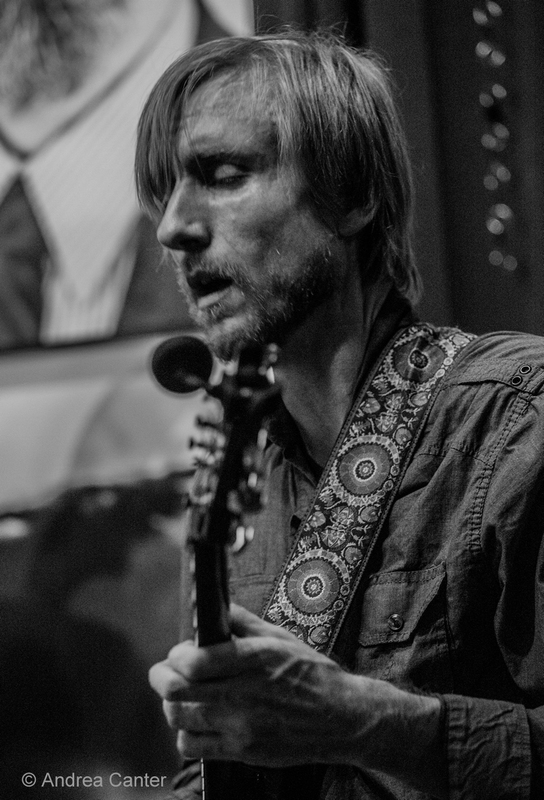 At Khyber Pass Cafe, the improv jazz series continues with King Fletcher Woods (Jeff King, Charles Fletcher, Eron Woods). Small space for big ears.